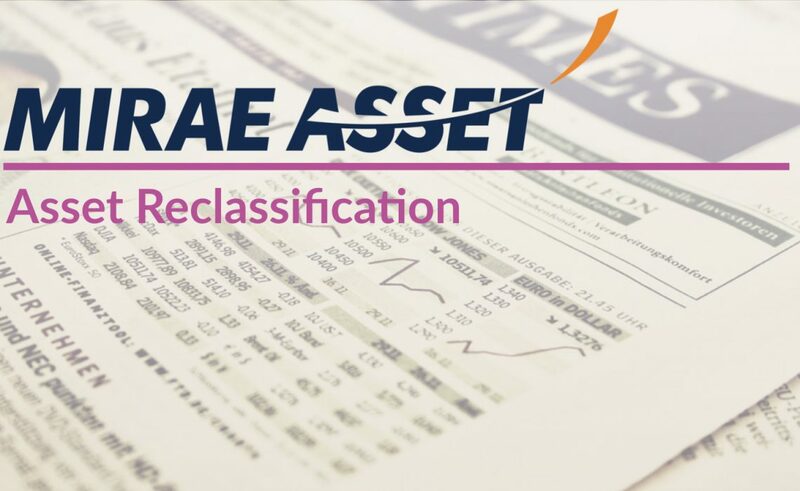 The flagship Equity Scheme of Mirae Asset Mutual Fund, Mirae Asset India Equity Fund is being reclassified from Multi-Cap to Large Cap and will be renamed as Mirae Asset Large Cap Fund. With the recategorization, the fund will invest at least 80% of its assets in Top 100 companies by Market Capitalization. The fund will lose the flexibility to move between large, mid and small cap companies that it currently enjoys. A Multi-Cap fund is allowed to invest in Large, Mid and Small Cap stocks without any restriction between the segments. A Large Cap scheme, on the other hand, is mandated to invest at least 80% of its assets in the top 100 stocks by market capitalization, allowing them to invest a small portion in Mid and Small Cap companies. The changes will come into effect on May 1st, 2019. The fund house has decided to make this change in order to maintain liquidity in the fund and to reduce risk. Mirae Asset India Equity is currently managed by three fund managers. Neelesh Surana has been the fund manager since May 2008, while, Harshad Borawake has been the fund manager since May 2017 and Gaurav Misra started to manage the fund along with Neelesh Surana and Harshad Borawake from Jan 2019. These returns have been instrumental in encouraging investors to choose the fund over its peers. The Assets Under Management (AUM) of the fund currently stands at Rs. 10,560 crores. It is essential to understand whether the recategorization could have an impact on your portfolio. 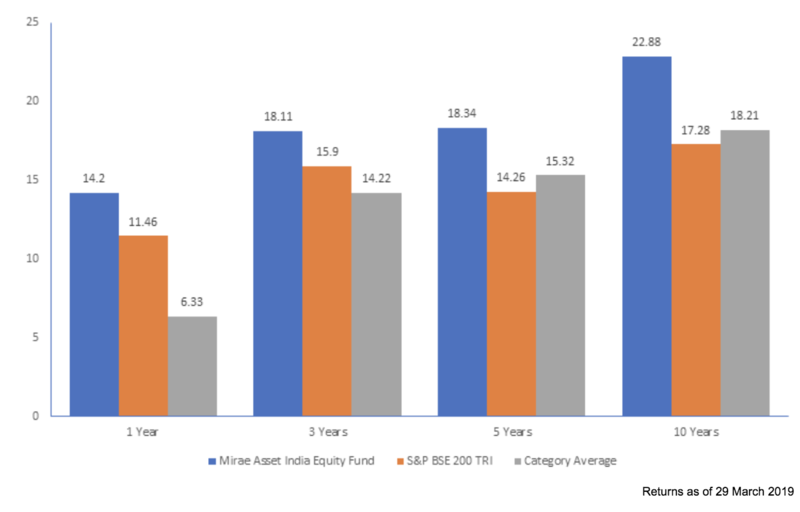 The recategorization has taken away the ability of the fund manager to take advantage of earning higher returns since different segments of the market perform well in different point of time. Large-cap stocks are relatively more liquid and less volatile than Mid-Cap and Small-Cap stocks, which comes with a lesser possibility to outperform Mid-cap and Small-Cap funds. Investors should evaluate their portfolios to understand whether it is essential to reconfigure their investments towards Mid-Cap and Small Cap funds to adjust for this recategorization. If an investor is unable to make fresh investments, they can resort to a partial exit from the fund and can direct their investments to Mid-cap and Small-Cap funds. To understand the impact of this recategorization on your portfolio or whether the fund is suitable to your needs, schedule a call with our SEBI Registered Investment Advisers.